Scotty Burns just added a new video to his Vimeo account on a SpaceShuttle launch formation jump, made just two days ago. Scotty has also posted picture on his website in the photo gallery. 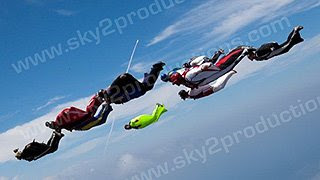 Click here for a previous item on wingsuit shuttle launch jumps.